Pampers Complete Clean wipes clean from top to bottoms. A soft touch and durable strength make these versatile wipes tough enough to tackle messy hands and diaper changes, yet gentle enough to clean your baby's delicate face. 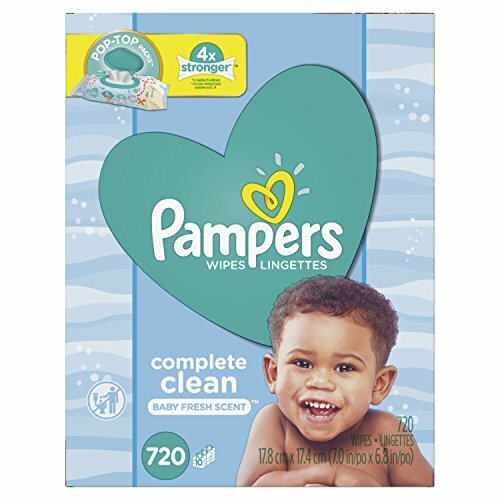 With a clean, refreshing scent that makes changing time more enjoyable, Pampers Complete Clean wipes are also dermatologically tested, hypoallergenic, and do not contain parabens, phenoxyethanol, alcohol, or dyes. If you have any questions about this product by Pampers, contact us by completing and submitting the form below. If you are looking for a specif part number, please include it with your message.